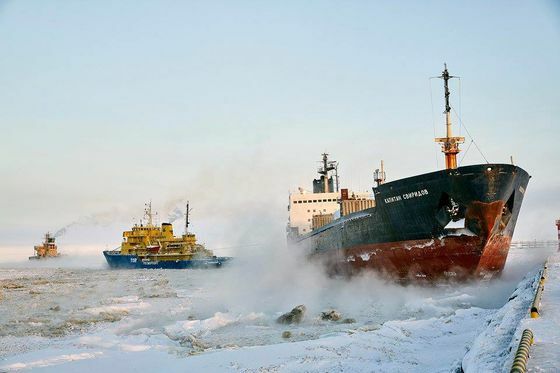 (Bloomberg) -- Almost 1,500 miles from Moscow, the tiny port of Sabetta nestles in a desolate Russian Arctic peninsula. A former outpost for Soviet geologists, it’s now the site of Russia’s most ambitious liquefied natural gas project, operated by a company that only entered the market just over a year ago. 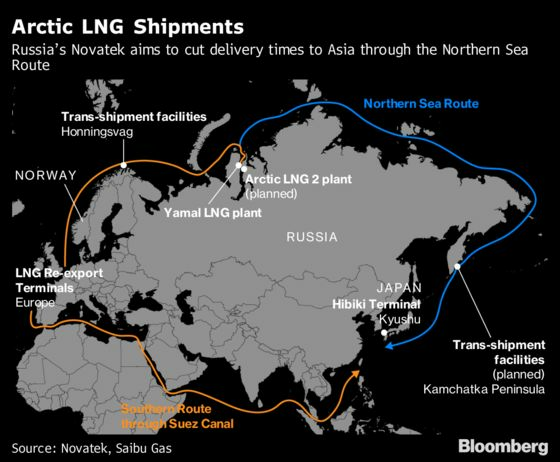 Novatek, whose biggest shareholders include Russian billionaires Leonid Mikhelson and Gennady Timchenko, as well as French energy giant Total SA, became Russia’s top LNG producer after starting up its plant in the Yamal peninsula almost two years ago. 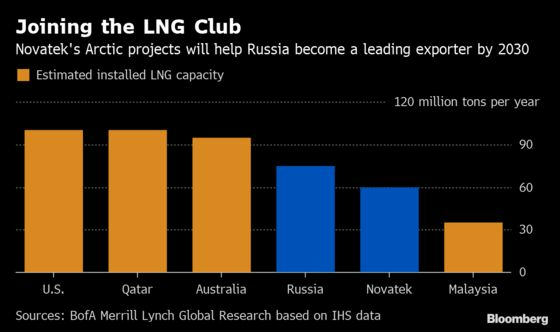 The facility reached its full capacity at the end of 2018, ahead of schedule, doubling Russia’s share of the global LNG market to 8 percent. Novatek’s resource base at two Arctic peninsulas -- Yamal and Gydan -- allows the company to raise production volumes to as much as 140 million tons a year in future, according to its chief executive officer Mikhelson. Novatek’s potential has attracted investment from global players from Total to China National Petroleum Corp., a rare bright spot for Russia’s energy segment hit by U.S. and European sanctions. 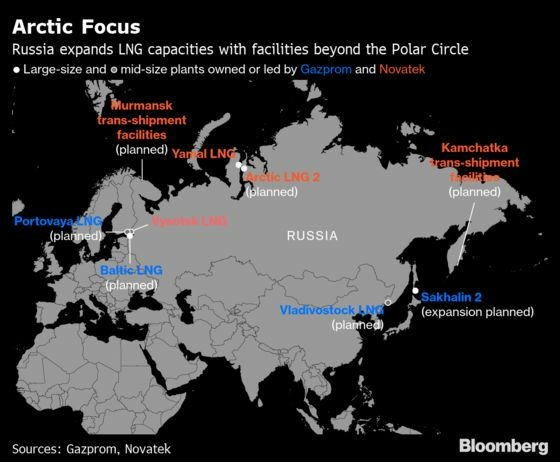 While Novatek is on the American sanctions list, and the U.S. Congress is considering restricting investment in Russia’s LNG facilities outside the country, it won’t impact the start-up of Arctic LNG 2 or the company’s longer-term expansion plans.